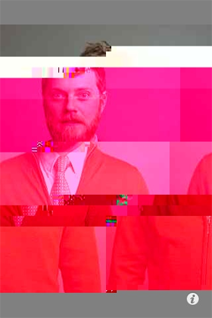 inspired by Chicago new media artist Jon Satrom who frequently employs glitches in his fine art work. this multi-touch app allows you to add glitches to JPEG compression, tweak the stripe and offset patterns and generally mess up a perfectly fine image. presents some great yet random results!